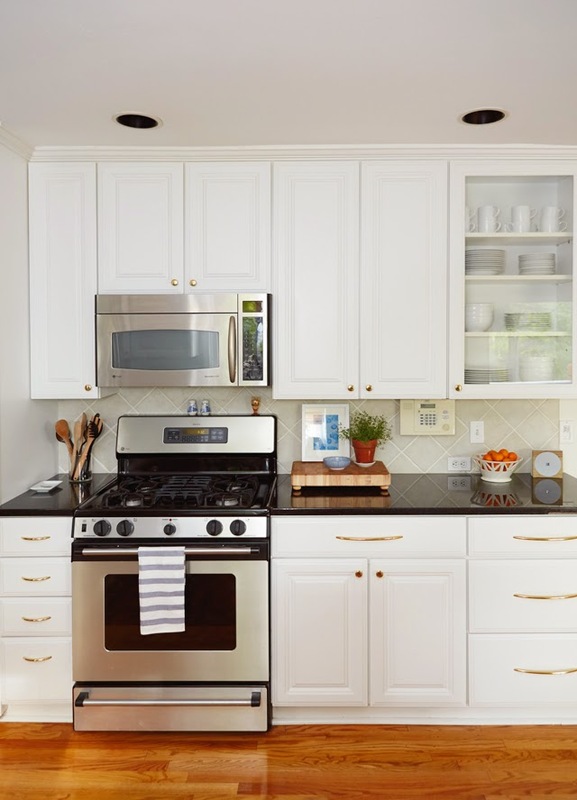 I am so thrilled to be sharing our "new" kitchen today! It's not an over the top transformation by any means, but a few changes have gone a long way here. 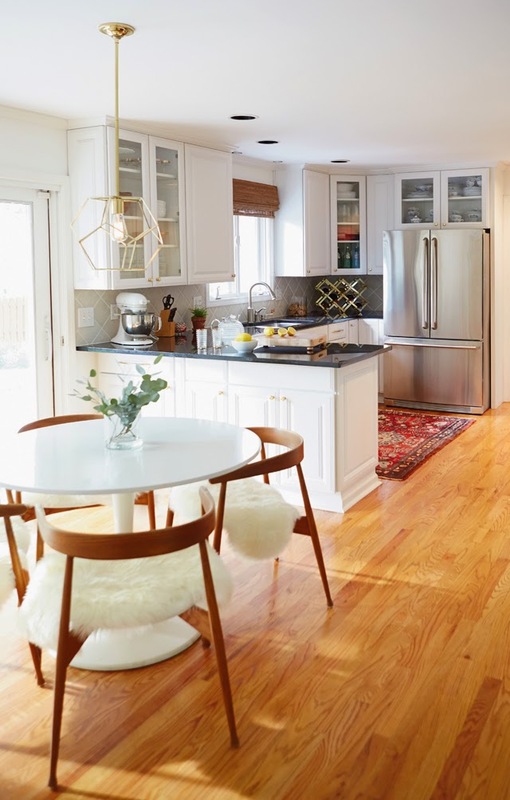 Namely replacing an old ceiling fan with a pendant fixture over the table, updating dark hardware for lighter and brighter brass, adding a window treatment over the sink, swapping out for a more whimsical rug, replacing the fridge, and giving the space a fierce decluttering. And even though the design snob in me wishes more could have been done, we've certainly come a long way from where we started and I'm beyond pleased with the results! I wanted to keep the styling simple because that's soooo the opposite of what we're used to....here's hoping we can keep it that way for at least a week. It thrills me to finally have a home for some of my favorite vintage barware in the open cabinets. I moved all of our china above the fridge where that awkward and impractical wine rack used to be. I mean, if you drink wine like I do, you need easy access! I framed a piece of Ava's art for display on the countertop, which is perfect for an abstract art lover like myself, and easy to switch out as new pieces inevitably come home. I can't say enough about the gorgeous Mara pendant. She is quite photogenic, and I assure you she is every bit as beautiful in person. If nothing else had happened in this space, that just might have been enough of a transformation all by itself. 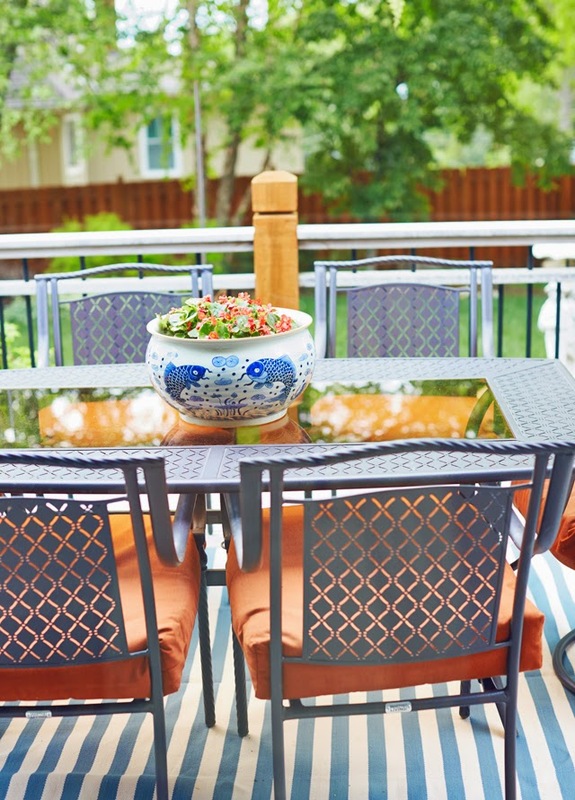 As you transition to the patio, you get a little more color. I was able to find the perfect home for that glorious flower pot front and center on the table. Someone suggested succulents, and I love that idea so I may try that at some point this summer! 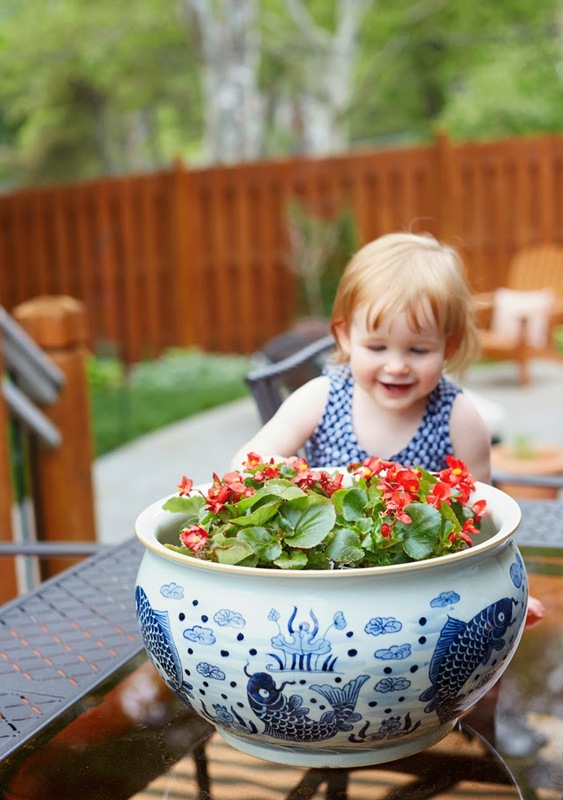 For now, Ava is sure loving the pretty flowers...which she immediately plucks the heads off of, so I guess understanding flower care comes after 21 months. ha! Of course, you know I couldn't stop there! Once I got going, I felt like Ava deserved a new kitchen, too. 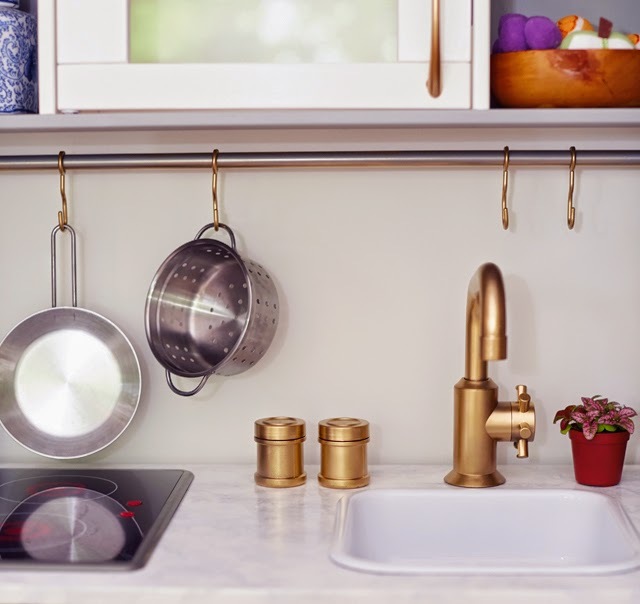 So I took the Ikea DUKTIG play kitchen to the next level with gray cabinets, brass hardware, marble countertops, a porcelain sink, and plenty of vintage accessories. She was just the proudest little nugget when she finally got her kitchen back! 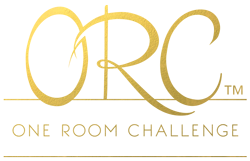 Participating in the One Room Challenge is always such a treat because the transformation happens so quickly. Something that would otherwise be unheard of around these parts. 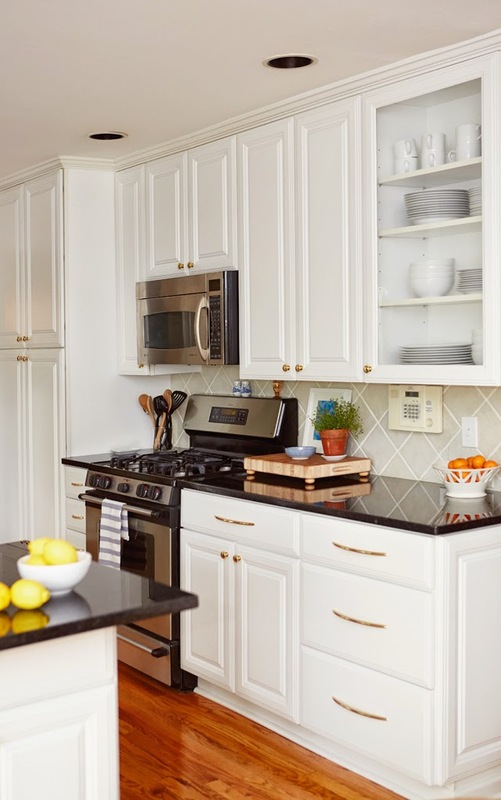 I had the great pleasure of partnering with the fine folks at Bellacor to make this kitchen update happen, and I can't thank them enough for their sponsorship and great service! Huge thanks, too, to photographer Jane Kortright for the beautiful photos. Now, if you have the time, I recommend checking out everyone else's transformations! super good. on both the kitchen and the tiny kitchen and that adorable chub. the kitchen is so fresh and pretty. 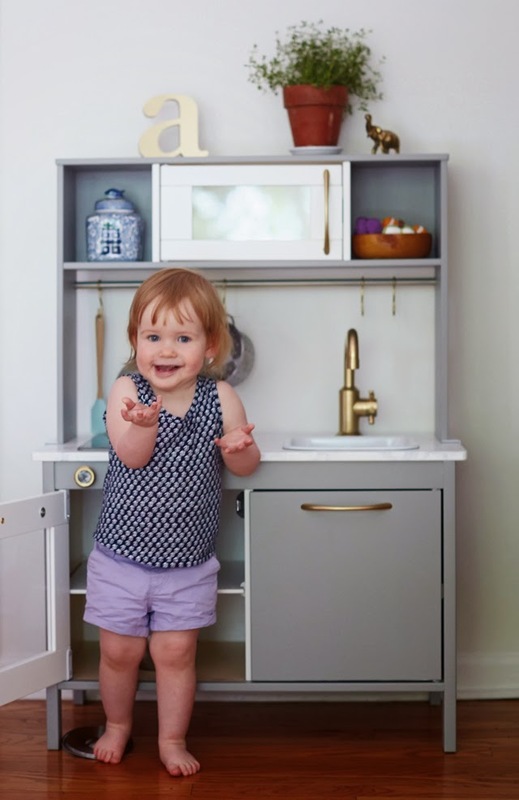 Your kitchen is beautiful, and I love that you made a mini kitchen for your little one. So fun! Enjoy it all! Loveee this kitchen! And my gawd...that play kitchen is to die for! Super cute! You did a lot in 6 weeks. Way to go!! LOOOOVE the chairs!! Omg so good. I need them. 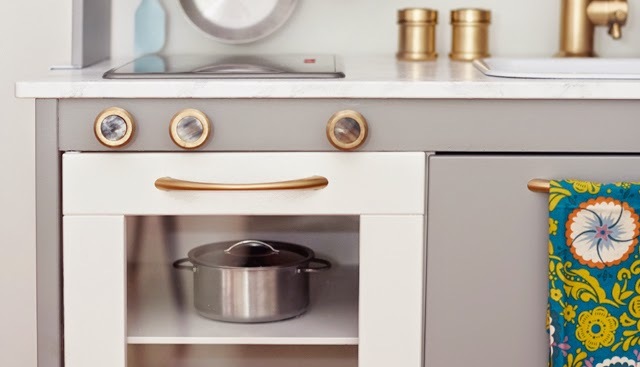 Love the fresh, bright kitchen refresh (those brass pulls are lovely!). 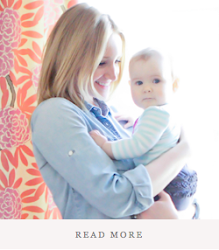 And…Ava is just too much cuteness!! Love her and her kitchen. 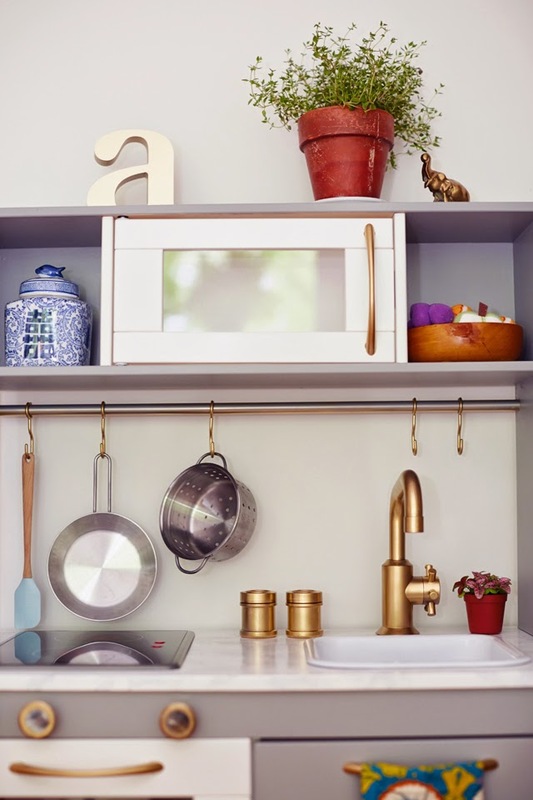 Seriously, the styling of her mini-kitchen is spot-on. Great job!! So fresh and chic!! Amazing transformation...well done!! Love it Tobe!! and you baby's one too!! so sweet! 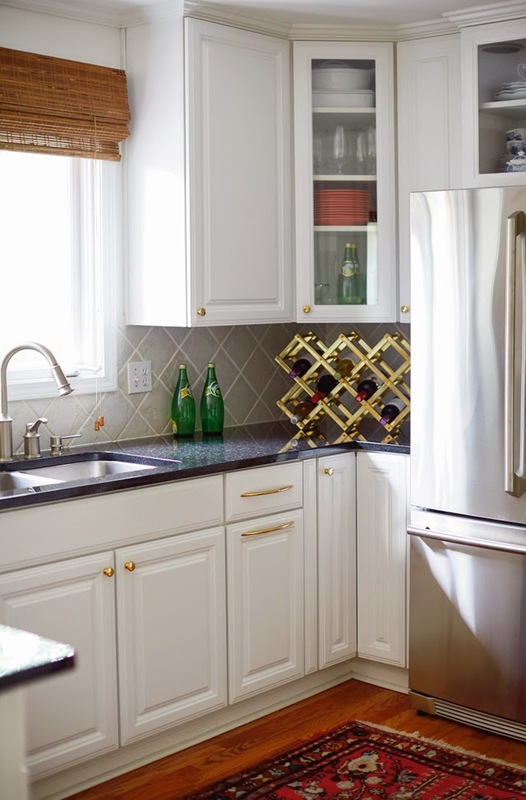 That pendant is spectacular and so is the wine rack!!! Pure awesomeness!! COngratulations on a beautiful transformation!! Two lovely kitchens! 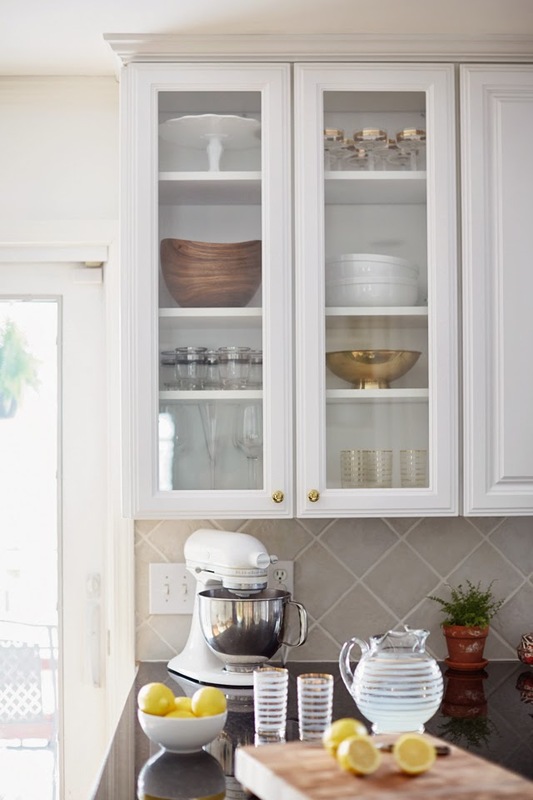 Your kitchen feels so bright and airy. The Mara pendant was a perfect choice. It's spectacular! Why aren't you a designer again? Looks beautiful! 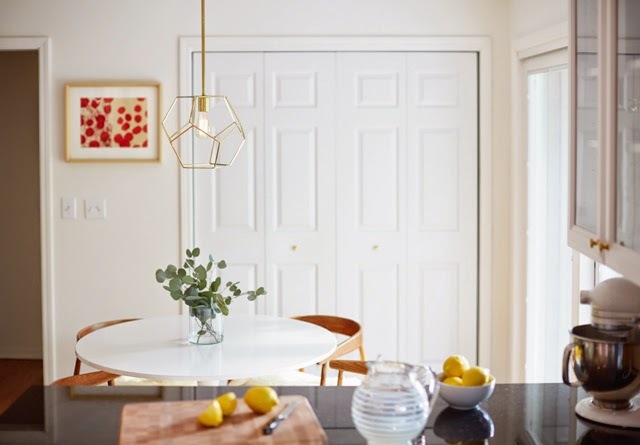 Love the light fixture!! 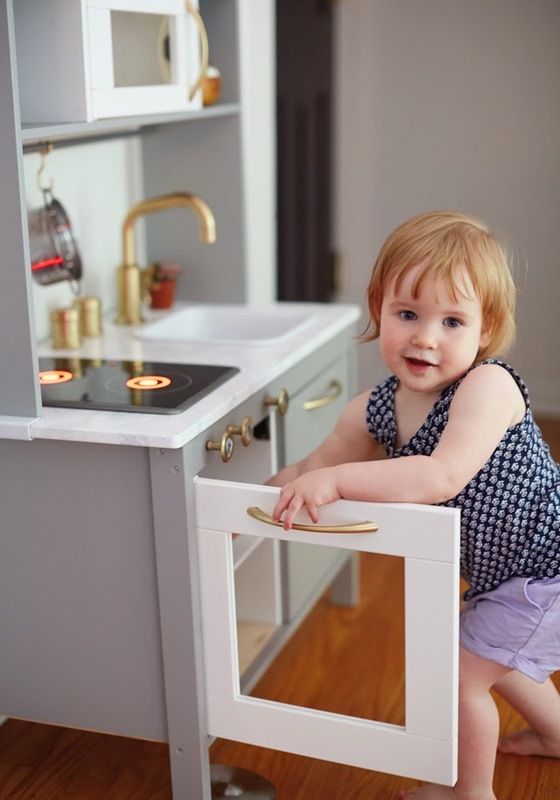 That little kitchen is the cutest thing I have ever seen and your daughter is absolutely adorable. You did a beautiful job on the kitchen. 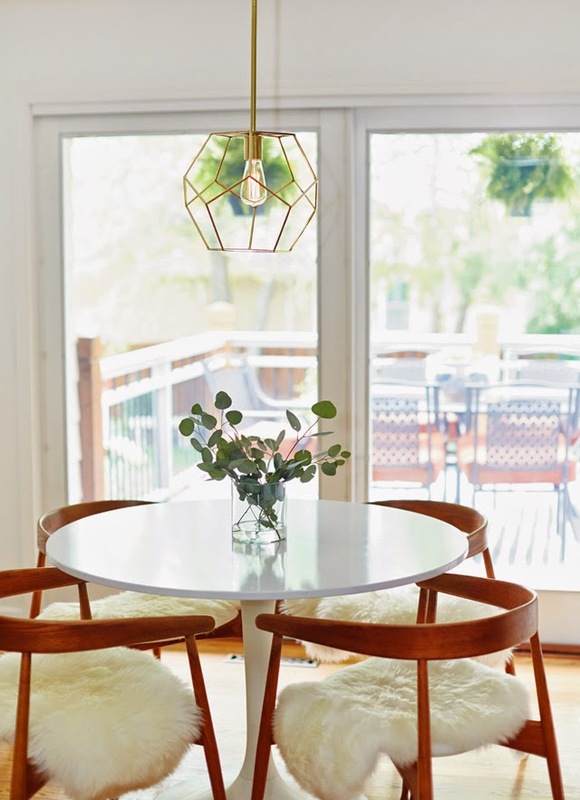 Such a fantastic result, I love the your dining table and chairs! This is amazing. It's super inspiring how small changes can make such an impact. And Ava's mini kitchen is perfection. You're gonna need to change you blog name to "Because I'm Awesome." Gahhhorgeous Tobe! & I'm a little jealous of Ava's kitchen, so bright & beautiful (as always) well done love! I love seeing Ava in her kitchen. She is the show-stopper. I love your updates, and the chandy is perfect. Love you styling, and attention to detail. Great job! Great job but let's be honest - that little kitchen of Ava's killed it!! How cute is that??? All I can say is WOW! And your Ava is equally proud of her cute kitchen too! Of course Ava is the star of the show here! 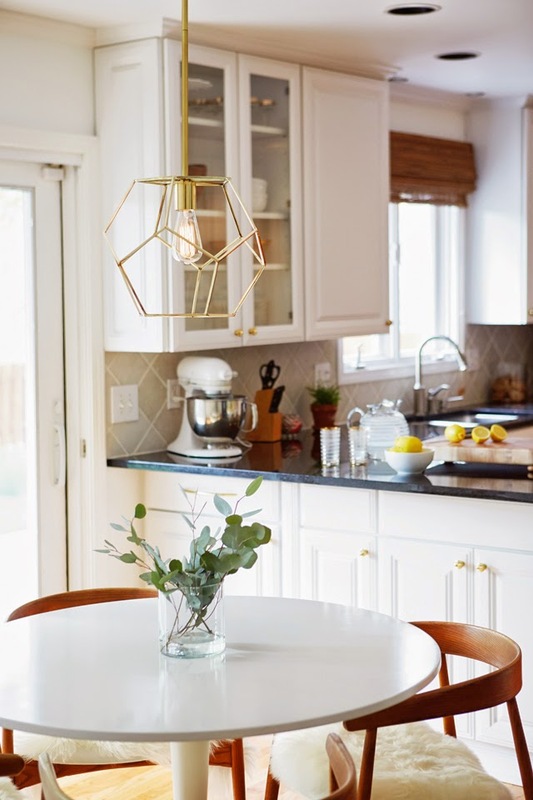 But the kitchen takes second place for sure:) Looks so clean and fresh.....love the Ikea table because you just can't beat it for inexpensive style. 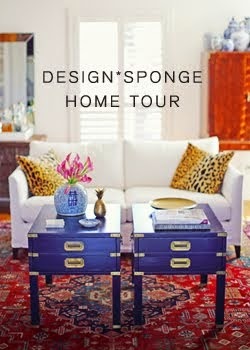 The chairs are perfect and adding the gold with the great carpet keeps it from looking sterile. Well done my friend! Stop it! 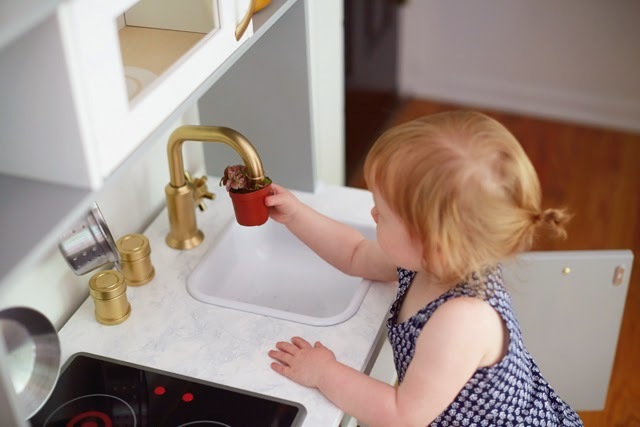 The kid's kitchen is off the charts adorable and of course your kitchen is a beauty as well! 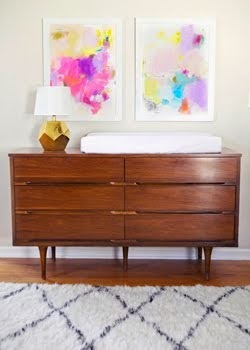 I love all of the fold accents and am obsessed with your new light fixture! This is gorgeous!!! 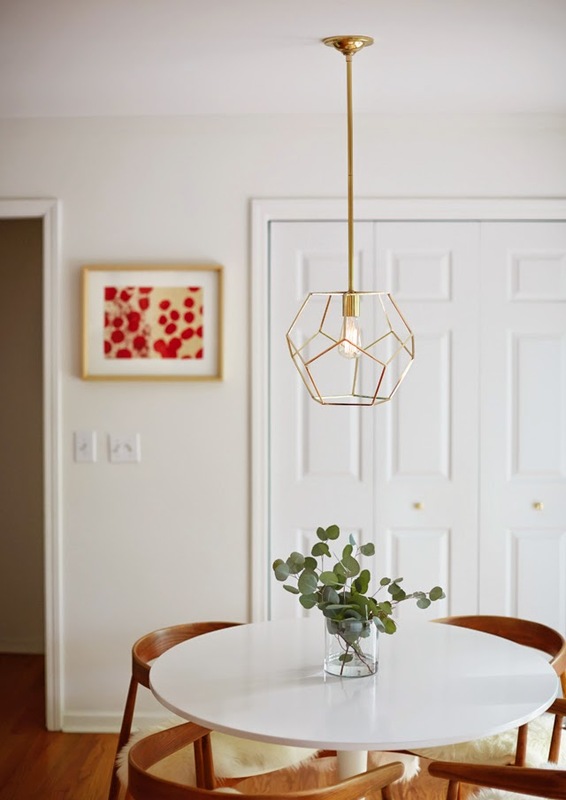 I love that pendant light! Your kitchen looks amazing. I love the clean look with the pop of color. Just when I thought it couldn't get any better then you show the mini-kitchen. It is adorable! All your hard work paid off with the smile on her little face. So cute! 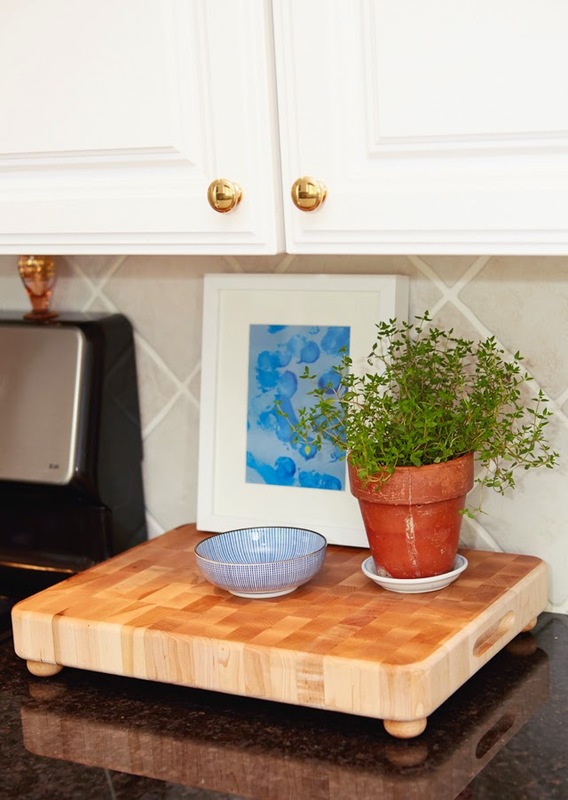 Love your style and your new kitchen! 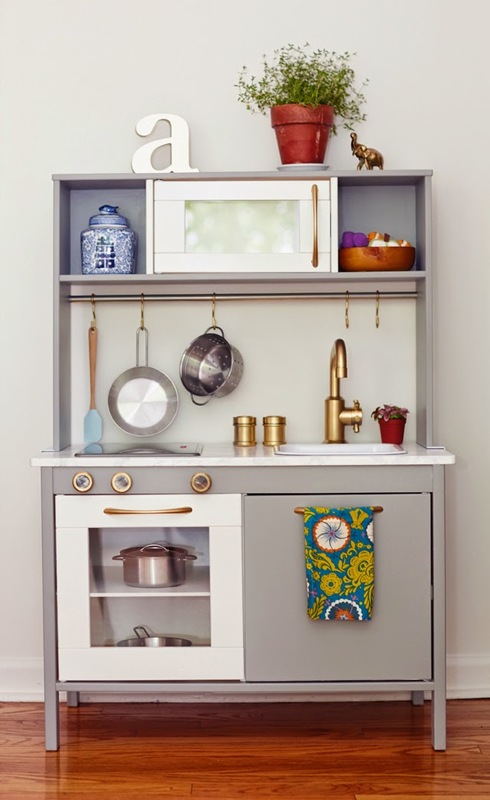 How did you actually paint the little ikea kitchen set? Did you use brush, roller? And what brand of gold spray paint did you use? Did you seal it at all? I'm currently re-doing my kids' kitchen set and want to make sure I do it right! Thanks for the insight!